Happy Monday! Are you still buying Christmas gifts? I still have about three more to get, and then I'm done! 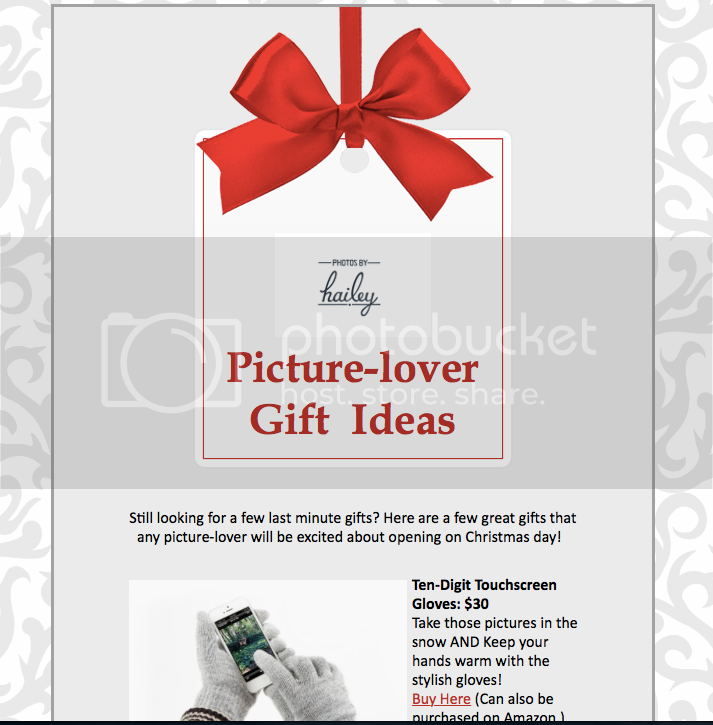 Just in case you still need a few, I put together a small list of some great ideas for anyone who loves pictures!